As the volume of unstructured data increases, organizations are looking for ways to better understand and manage file activity across their file servers. Without the right file analysis tool, it can be hard to make sense of unstructured data. File analysis technology enables smarter storage management, as well as data cleansing and access governance. Unlike file analysis tools based on file metadata only, Netwrix Auditor takes a more advanced approach. File analysis software by Netwrix delivers visibility into user activity, permissions to data and data usage across Windows-based file servers, EMC storage and NetApp filers. Its predefined file analysis reports enable organizations to analyze file states by providing information about who has access to what data, how permissions are granted, what data is overexposed, who owns what data, who uses which data, and what data might be redundant or outdated. Because file servers have such high activity, not all file analysis tools can spot abnormal spikes in reads and changes. Netwrix Auditor’s User Activity Summary Report clearly shows suspicious activity by a given user. The Account Permissions Report keeps you on top of user permissions and helps you track the types of access users are assigned and how that access was granted. File analysis technology also identifies overexposed data so you can lock it down. The Excessive Access Permissions Report identifies users with permissions that they rarely use to help you prevent data leaks. 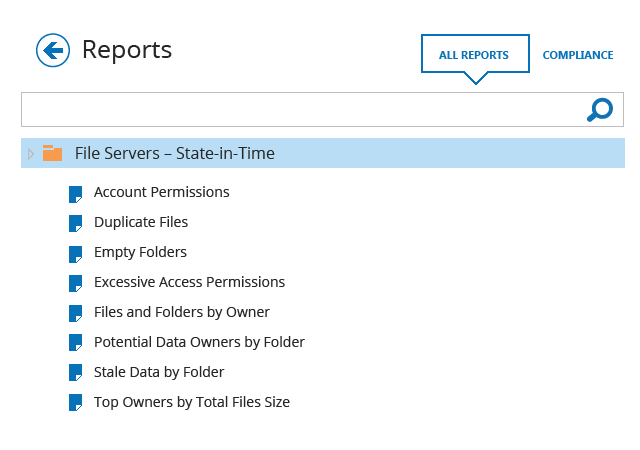 Other reports detail the largest files, stale data, empty folders and duplicate files, enabling you to analyze files for storage optimization.